Place In Deep Purple Story: Deep Purple played here on December 7th.1969, second on the bill to Family, at a time when they were still normally playing slightly smaller and more savvy University and Polytechnic venues / audiences. They were due to return as headliners on their winter tour in November 1970 but shows were pulled when Jon Lord injured his back. Adverts appeared promising that the group would return. Amazingly it would take them 27 years! 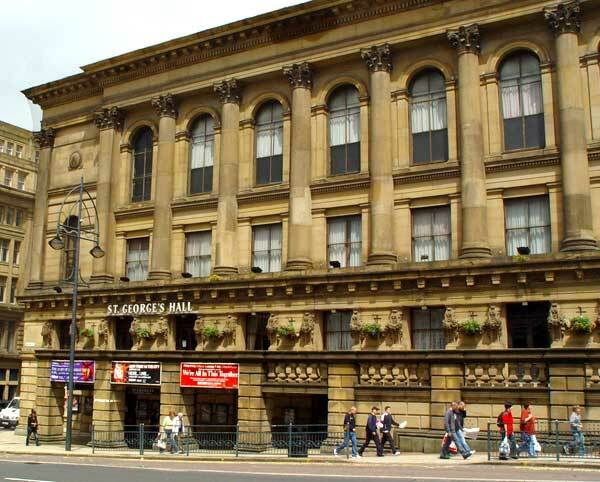 The main reason is most likely that during the early seventies, Leeds Town Hall was the main West Yorkshire concert venue, and as it's not very far from Bradford, agencies didn't often risk booking both halls in case they couldn't sell them both out. Needless to say Gillan played the hall, the first time being Oct 23rd 1979, the last time on Nov 19th 1982 (playing Leeds University the next night). He has sung the praises of the hall ever since. 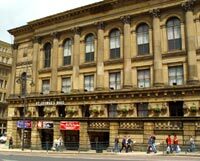 The venue was also a regular for Whitesnake on their first couple of British tours. Rainbow didn't play there - the stage being too narrow for their early tour with the electronic Rainbow. Glenn Hughes played here on the Legends Of Rock Tour on Nov 15th 2002 (the billing with Jack Bruce, Uli Jon Roth & Frank Marino affording him the opportunity to play a bigger venue than he had been used to post-Purple). Deep Purple themselves returned in triumph on Feb 28th 1996 when the Steve Morse line-up did their back to the halls tour of the UK promoting Purpendicular. They also played there on September 9th 2002, one of Jon's farewell shows. 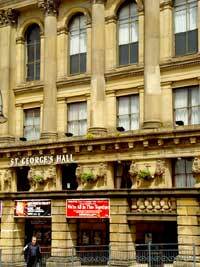 History: Bradford St. George's Hall was built in 1853, designed in a neo-Classical style by the architects Lockwood & Mawson. It was designed to stage meetings, concerts, lectures and other attractions. It is a tribute to the original design that the building still functions across a variety of modern entertainments. It is unusual for a concert venue in being a very tall building inside, with the audience on all floors getting close to the action. 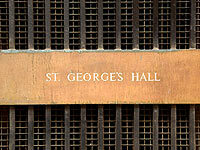 Over the years thousands of famous people have appeared here, from Deep Purple to Charles Dickens. 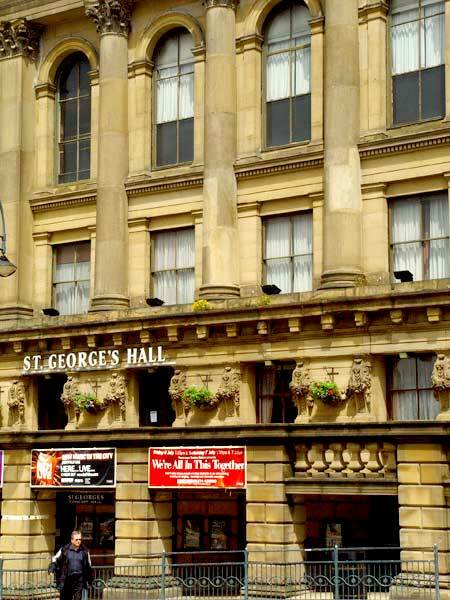 Location: The hall's main frontage faces onto Bridge Street in the centre of the city. Because Bradford has suffered a terrible blight in planning terms over the last fifty years (and continues to demolish irreplacable buildings - the huge 1930s Odeon Cinema is boarded up and due to come down as I write), I suggest you just find the nearest car park and approach on foot. Otherwise you'll get lost!. June 2007. Simon Robinson. Advert for cancelled show from the DPAS Archives. Any recollections of the venue? Write and tell us.